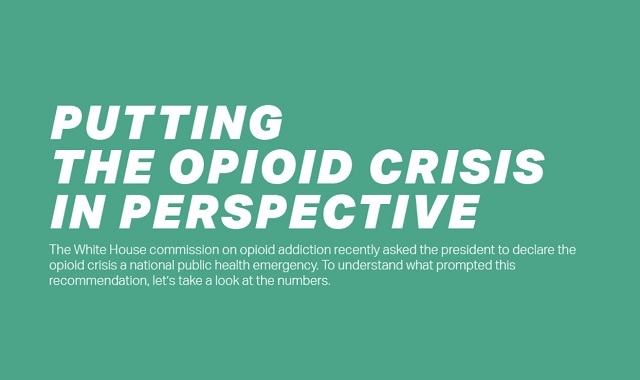 Putting The Opioid Crisis Into Perspective #infographic ~ Visualistan '+g+"
When you attempt to imagine the scope of the current opioid addiction crisis, it can be difficult to see exactly how dire the situation has become. Comparing the statistics to other, more familiar numbers can give a shocking perspective into just how detrimental this crisis has already been to this country and how it's escalated into the situation we're in today. Check out the infographic below for more fast facts that will help you put this public health crisis into perspective.